There is an extra charge of 100 Baht applied for each travel for outside lessons. How to learn a language efficiently! If you’re a first-time language learner, you know that emotional ups and downs come with the territory. When you understand a concept or begin to comprehend the language, you may experience feelings of exhilaration. However, these are often followed by moments of frustration and discouragement, during which you might feel as if you will never master the concepts and attain the ability to understand and communicate effectively. Below are some time-tested, research-verified approaches that will help mitigate potential frustration and will increase your ability to succeed in language learning. It is natural to feel uncomfortable in a language class. You’re used to being in classes where the mode of communication — the language of instruction — is a given. In a language course, however, it is the mode of communication itself that is the focus of instruction. For this reason, a language course is different than most other courses you will ever take. Not understanding and making mistakes — things that are negative learning indicators in other courses — are a very natural part of the language learning process. Accept the fact that you will not understand everything. In fact, at the very beginning, you will not understand much at all. Remember that during the initial period of adaptation your ear and your mind are adjusting to the sounds and the rhythm of the language. Though you will not understand all of what is being said, you will be amazed at your increasing ability to make sense of the language. Remember that the only way to learn the language is through practice, practice, and more practice; in the course of practicing you will make many errors … and you will learn from them. Research shows that language students learn more effectively and retain more when they study frequently and for shorter periods of time than if they study infrequently for extended periods of time. Try to study each day, and whenever possible, several times a day. This means, for instance, doing a few homework exercises each day rather than doing all homework assignments the night before they are due. In addition, there are many otherwise mentally “idle” moments during the day when you can work in some studying. For example, you can review vocabulary while eating breakfast, recite the alphabet while showering, count your steps as you walk between classes, name as many object as you can in the target language on your to way school, take your vocabulary flash cards with you on a road trip. There are many moments during the day when you can squeeze in a few minutes of practice time. Through the repetition of material, it will be come increasingly familiar, until it eventually becomes an automatic part of your language repertoire. Vocabulary is the most essential element of communication. The more words you know, the more you can say and understand. The absolute best way to learn vocabulary is through the use of flash cards that you make yourself. Purchase a set of 3 x 5 index cards and cut them in half. (This makes them small enough to carry everywhere.) Write a vocabulary word on the front and its English definition on the back. As you learn more information about each word (e.g. plural forms of nouns, principle parts of verbs), you can add these to the cards. There are many ways you can use flash cards as a learning tool. To help you learn and remember noun genders, for example, you can color code the nouns by gender, either by using colored cards or colored ink. When studying, organize words in meaningful groups (e.g., by noun gender, in thematic categories, regular verbs vs. irregular verbs). Shuffle the cards or groups, so that you use the stack(s) in a different order each time. Use the cards in both directions: first look at the foreign language words and try to recall the English definition. Then shuffle and look at the English definitions and attempt to remember the foreign language words. Flash cards offer many possibilities. Take advantage! How many years have you been teaching?Kru: Since 1981 as an English teacher and since 1987, I started to teach Thai.Why did you chose teaching as a profession?Kru: Educating people is the greatest way making my mind peaceful and I have been so proud of my successful learners. 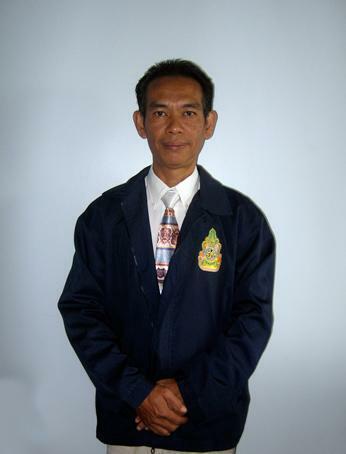 I chose teaching from more than 10 jobs I did in the past and I ran my own businesses before, most of them about negotiation and they consumed a lot more energy and nerve.What are your work experiences and education?Kru: Bachelor’s Degree in the field of mass communication from Ramkhamhaeng University, Bkk. graduated in 1985. What would you say is your style of teaching? Kru: Friendly, negotiable and flexible with my primary style of clearness in pronunciation. Kru: Depending upon the need of students. Mainly, natural methods are preferable. I use flash cards, textbooks, and natural communication with my students to aid in his/her learning Thai. I like to mix things up and make it as fun as possible for my students. Kru: At the student’s home, one to one as private lessons or a few students can be formed up a class. Kru: The cost for Thai lessons are in varieties of the distance and the number of the hours picked up each day with the same number throughout each course, a private student who studies one hour a day on Mon – Fri is 300 Bht ($9 US) /hr. A private student who studies one hour a day for for 2 – 3 days a week is 350 Bht ($10.50 US)/hr. 50 ($1.50 US) Baht off will be offered to the student who takes 2 hours a day for each hour. Payments are done weekly. This charge needs to be paid on Monday for the whole week in advance. No compensation for the absence of the student. The extra charge according to the distance to students’ places will be applied. A package of 20, 30 and 50 hours of Thai lessons will less the teaching charge respectively. I bought 25 hours of private lessons with Kru Simon. 4 sessions a week with each sessions being 2 hours long. I definitely recommend Kru Simon if you are looking to learn Thai. For private lessons, you can’t beat his prices. It’s even better than the prices for many group sessions offered elsewhere. Kru Simon is also very flexible with dates and time, and very understanding if you need to reschedule. What’s nice of him is that he doesn’t charge for traveling to your location (unless you are really out of his way). His teaching program will be adapted to your personal needs and preferences. He’s constantly looking for new ways to keep the lessons interesting and exciting. Flash cards, direct conversation in Thai, story writing, and story translating are just some of the methods he uses. After completing 25 hours of lessons (and just as much time spent doing homework), I am already able to converse with local Thais in Thai! I recently purchased an additional 30 hours for SKYPE lessons for when I get back to Toronto! Extra charge of 100 Baht applied for each travel for outside lessons. 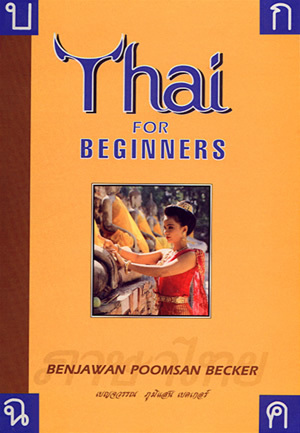 Are you looking for an intensive Thai course in Chiang Mai? Frustrated with trying to learn a tonal language? Tired of being ripped off when you try to negotiate? No matter how long you’ve been here?